The Straits Times Index ended 10.41 or 0.34% lower at 3,043.19. 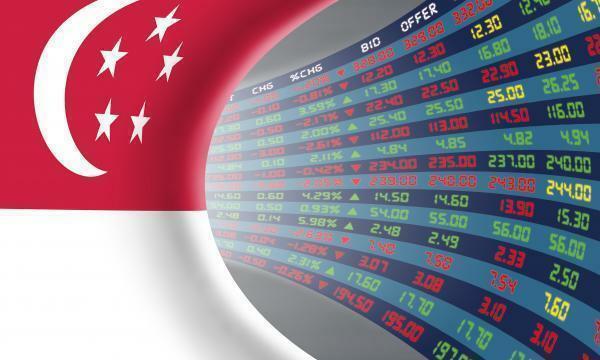 The top active stocks were DBS, which fell 0.12%, OCBC, which slipped 0.08%, Cordlife, which rose 0.06%, Best World, which grew 0.10%, and UOB, with a 0.10% fall. The FTSE Mid Cap dipped 0.38% whilst the FTSE Small Cap slipped 4.72%. According to OCBC Investment Research, U.S. stocks closed lower Wednesday, with the Dow Jones Industrial Average logging its longest losing streak in three months, as blue-chip Apple Inc. flirted with bear-market territory. Nine out of eleven S&P 500 industries ended lower, led by Financials (-1.38%) and Information Technology (-1.29%) whilst Communication Services (0.46%) and Real Estate (0.06%) gained. "The retreat on Wall Street overnight is unlikely to bring any inspiration to the local bourse this morning," OIR said.